I love baking, and love eating the results even more. One challenge I faced when going vegan was finding recipes that didn’t include any dairy products or eggs. I have found quite a few and can’t wait to try them out. 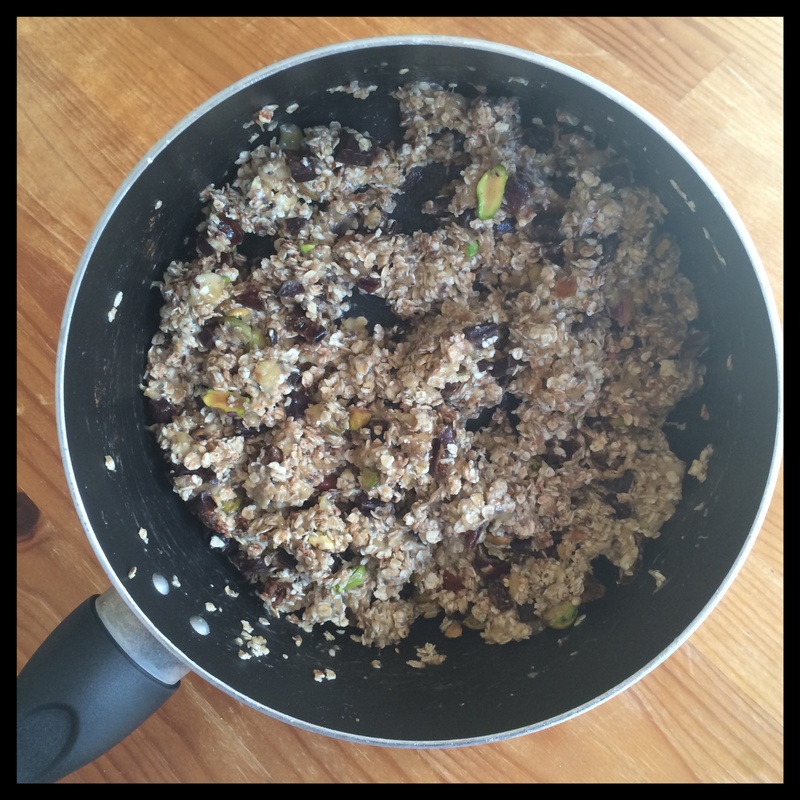 This week I’m sharing a recipe that I came up with myself. I’ve made these cookies several times, usually making up the ingredients and measurements on the spot. Over the weekend I made them again and made a point to write down the exact measurements and ingredients, so I could share this recipe with you guys. These cookies are super easy and cheap to bake. Perfect for students, people on a budget, or anyone really (because who doesn’t want to make fast easy cookies?). As you might notice in my pictures, I use my pan as a mixing bowl (#studentlife), proving that no matter how little kitchen equipment you have, you can make these cookies. 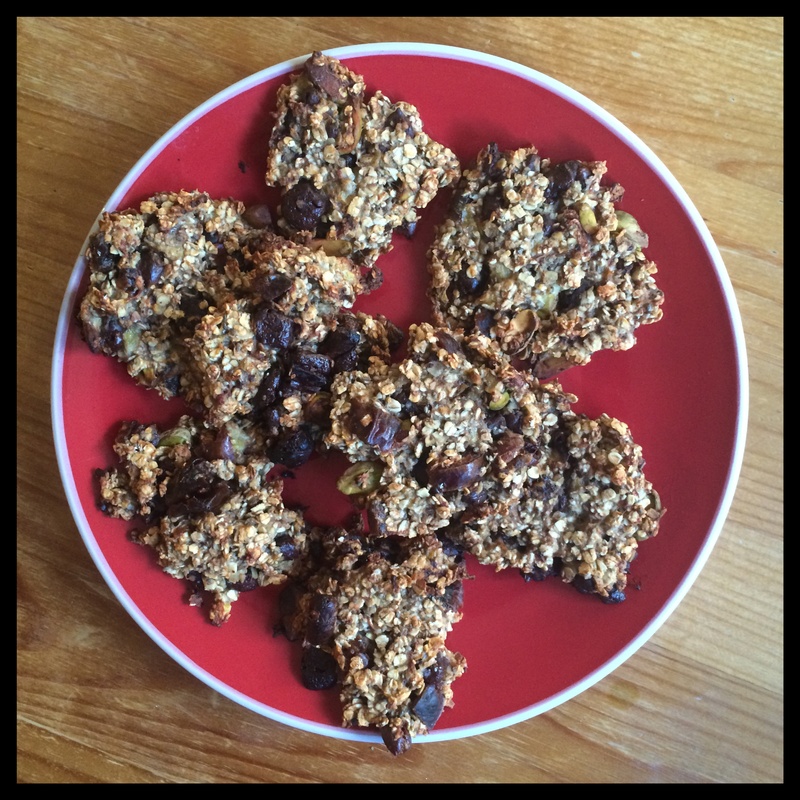 These granola cookies taste delicious in my opinion, and they’re not that bad for you at all! That means you can eat two or three or four or five pretty guilt free: who doesn’t want that? I tend to make these over the weekend so that I can enjoy them throughout the week when I’m craving something sweet. So without further ado, here’s the recipe! Combining the basic ingredients would give you a decent cookie, but adding some extra ingredients bring these to the next level. 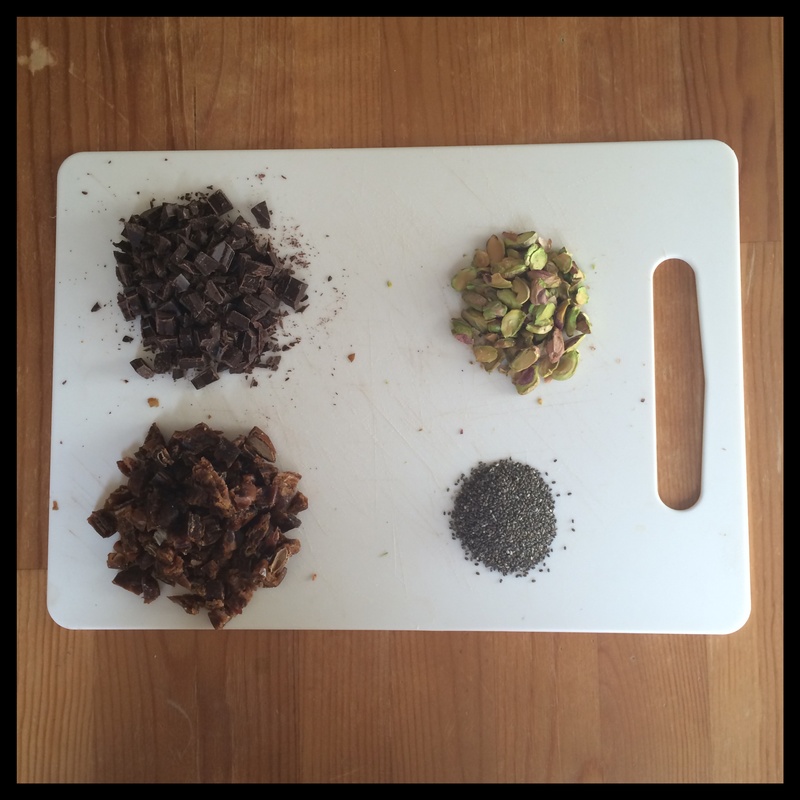 You can add whatever you fancy: different nuts and dried fruit work best in my opinion. Making these cookies couldn’t be easier. The basic premise: just mix it all together. 1. 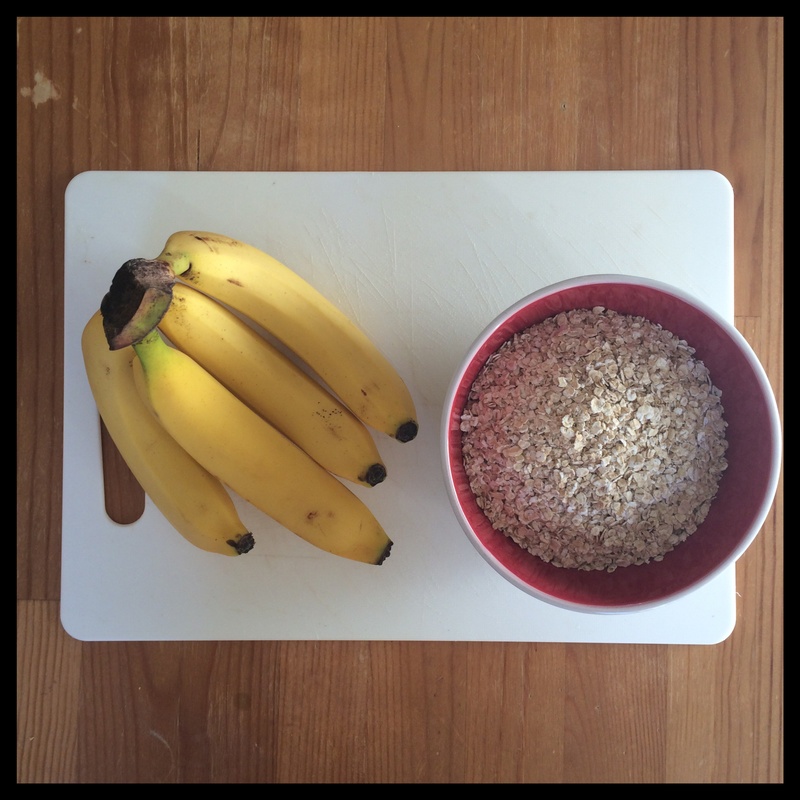 Mash the bananas and add the rolled oats, almond milk, cinnamon, and baking soda. 2. 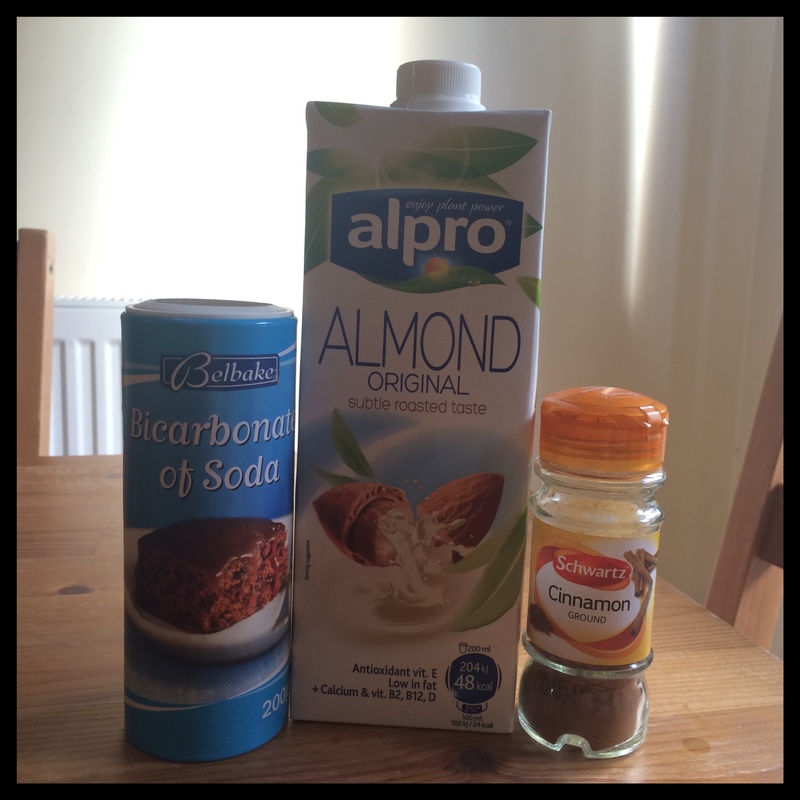 Add in your additional ingredients and mix so they are evenly distributed throughout the mixture. 3. Spread a small amount of oil on your baking tray to avoid the cookies from sticking to the tray while baking (if you have baking paper that’s even better!). 4. 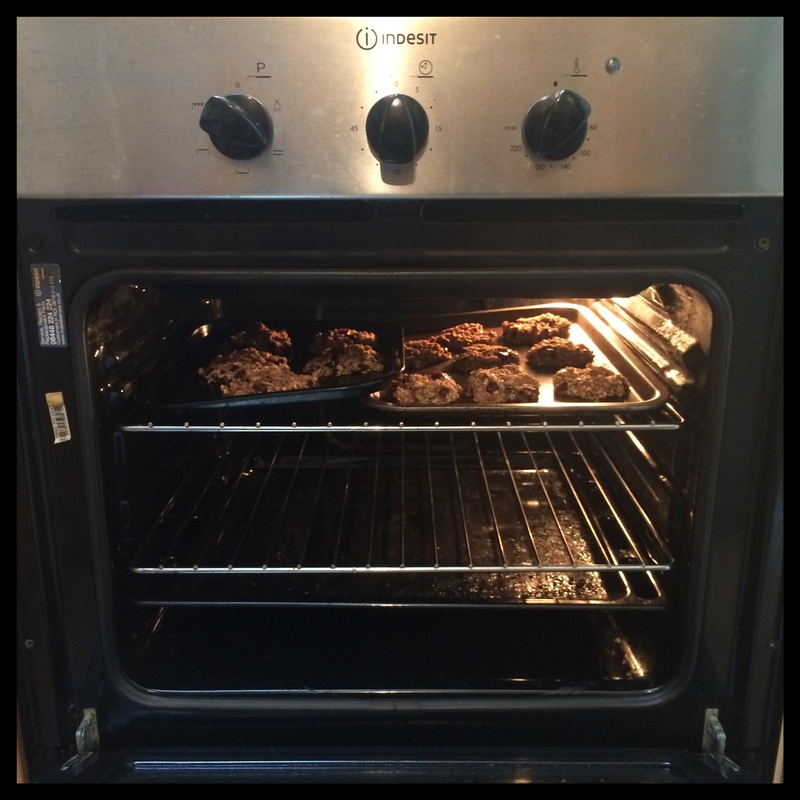 Bake for 15 minutes at 180 degrees Celsius. Using these exact measurements made around twenty cookies that lasted me throughout the week. They keep very well when placed in a airtight container or Ziploc bag. Look delicious. I just made a batch of peanut butter squares and they are no bake with 3 ingredients: 3 cups oats, 1 cup peanut butter (can use whatever nut butter), and 1/2 cup of honey. Microwave the peanut butter and honey for 2 minutes, add to oats and mix. Then pat down into a 9×11 baking dish. Put in the freezer for 10 minutes. Cut into squares and keep in the fridge. Awesome and the boys love them! Look forward to trying your recipe tomorrow! 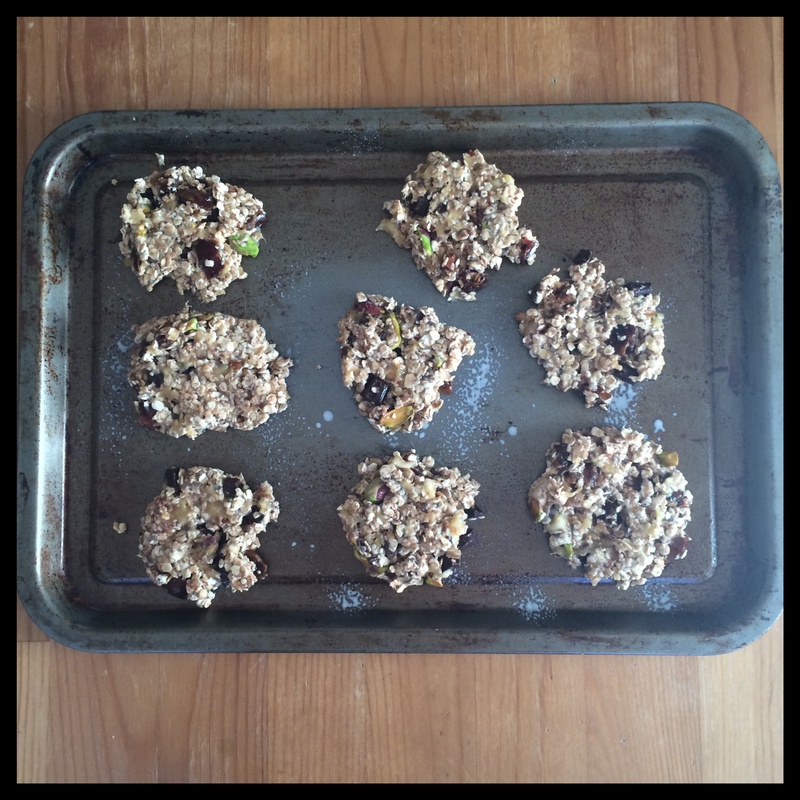 I added coconut and raisins to my batch and the cookies taste like a bowl of oatmeal cereal! Thanks again!